IPv4 Exhaustion: Are You Worried Yet? 31 Jan 2011: The final blocks of IPv4 in the Asia Pacific region were allocated. You've probably seen a few of those IPv4 depletion counters (see here and here), ticking ominously away towards zero address hour, but what are they based upon? Most take their data from Geoff Huston's IPv4 address report on the estimated dates of exhaustion of the unallocated IPv4 address pool for IANA and the RIRs. Stephan Lagerholm's IPv4 depletion site uses different methods but arrives at similar dates: IANA exhaustion will arrive in early 2011, and for the RIRs, late 2011 and early 2012. But what does all this mean? Well, IANA is the body that distributes addresses to the RIRs, the Regional Internet Registries - RIPE NCC, ARIN, APNIC, AfriNIC, and LACNIC. The 'IPv4 address space' is simply a list maintained by IANA. That list has 256 blocks, each containing 16,777,216 IPv4 addresses. 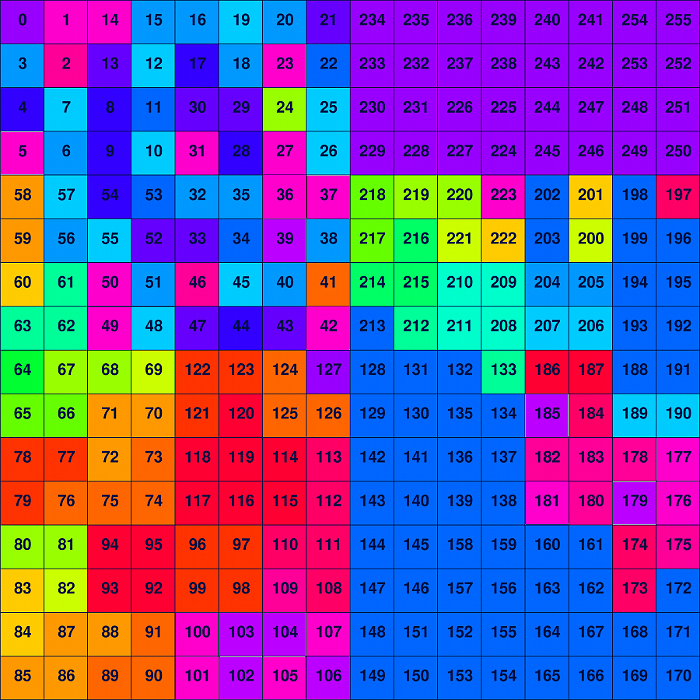 The first 8 bits of the addresses in a single block are the same, so they are called /8s (slash-eights). So if we have 256 blocks, multiplied by 16,777,216 IPv4 addresses, we have 4,294,967,296, say, 4.3 billion TOTAL IPv4 addresses. You can display all of the IPv4 /8 blocks in a square (this seemingly simple layout is actually a fractal - a Hilbert Curve - used to map binary space for the first time by Randall Munroe in an ingenious XKCD graphic). 1995: the allocated IANA IPv4 address space at the start of 1995. The Internet was exploding and work had already begun on IPv6, although only a few visionaries seemed to believe it would ever matter. 2000: the allocated IANA IPv4 address space at the start of 2000. The dot.com craze was almost at its peak, but IPv4 address space was handling it all very nicely, thank you. 2005: the allocated IANA IPv4 address space at the start of 2005. Alarm bells had started ringing, but despite the efforts of a few, indifference and denial were still the order of the day. Are you worried yet? You should be! Almost all of those 4.3 billion IPv4 addresses are gone. On 31 January 2011 the final two free /8 blocks in the Asia Pacific region were allocated. 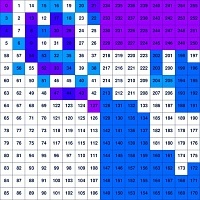 The remaining 5 blocks are automatically distributed, one to each RIR. And when the RIRs have burned through the last of their IPv4 address holdings - that's it for new IPv4 allocations! Diehards mumble about 'taking back' non-used addresses, especially from those groups with vast allocations from the early days of the Internet. But the current burn rate means that an entire /8 block is consumed every 4 to 6 weeks! Even if all of the unused addresses were somehow clawed back only one or two years' breathing space could be bought: to say nothing of the havoc that would inflict upon the global routing tables. This article was going to end with another picture: the IPv4 address space marked inside a map of the IPv6 address space - maybe a pixel-sized dot in a square just like those above. Then I did the maths... to print (at 300 dpi) a single IPv4-address-space-sized dot on an IPv6-sized piece of paper means that the piece of paper would have to be 24 million kilometres square - it would reach half-way from here to the planet Venus. IPv6 really has a lot to offer: have you begun your adoption plan yet? 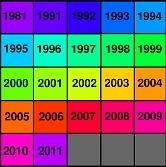 Colour key to the years of allocation of the IPv4 /8 blocks plotted above. Data was drawn from the IANA allocation table.